The aircraft is on display at Manchester Airport Aviation Viewing Park. For more information, please see the AVP website. G-AWZK, (known as "Zulu-Kilo" or "ZK" after the final two letters of her registration) is a Hawker Siddeley Trident 3B-101, construction number 2312. The aircraft was assembled in 1971 at Hawker Siddeley's Hatfield factory and first flew from there on 15th October 1971, being delivered the following day to BEA. 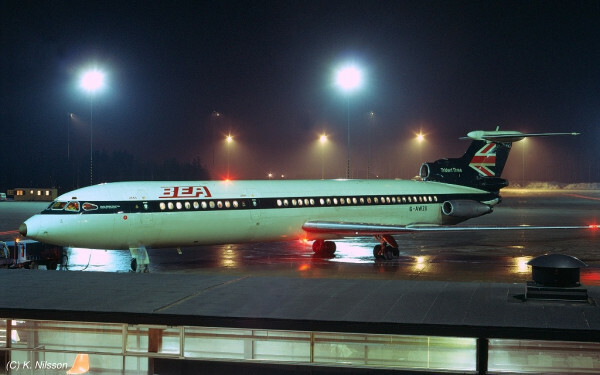 The series 3B was the last major variant of the trijet airliner, developed for Britain's then nationally owned airline, BEA, first flying (as the 1C variant) on January 9th, 1962. The aircraft was accepted by Capt A.J. Angus who re-opened the aircraft thirty-six years later at Manchester Airport Viewing Park in April 2007. The aircraft flew services around the UK and Europe for BEA for the next few years. BEA merged with BOAC to form British Airways in 1972, the deal being completed and the new company coming into existence in 1974. ZK was repainted into the new Negus & Negus designed British Airways livery in the late 1970s and served with British Airways until 1985. 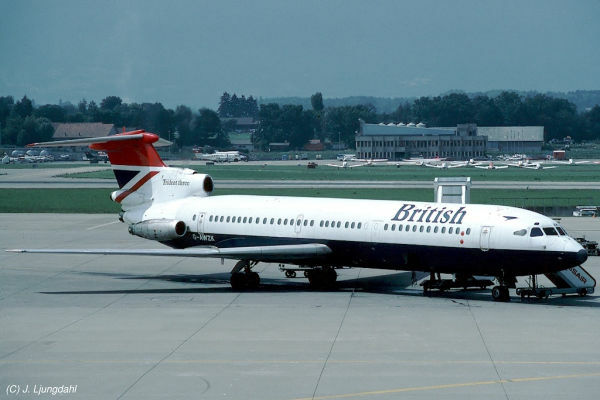 Her final flight was from Belfast to London Heathrow on Friday 1 November 1985 as BA4653. At 19:20 local time in Belfast, the chocks were removed and she taxied out to the runway, taking off four minutes later. She touched down at London Heathrow at 20:21 and the chocks were on at 20:28. She had completed 19,761 flights totalling 23,466 flying hours. On retirement, ZK was partially decommissioned and used for a variety of duties including ground towing for trainee tug-drivers, de-icing training and was briefly used by the police for counter terrorism training. During this time she was repainted into the new British Airways "Landor" designed livery and carried "The Spirit of Fleet Maintenance" titles. In 1991, to save space at LHR where parking costs airlines, ZK's wings were cropped by 15ft each to the span they are today, though new tips were fashioned allowing the refitting of the navigation lights and other wingtip accessories. In the early 1990s, BA Engineering charity Happy Child wished to have the aircraft restored to allow children supported by the charity to come and see round an airliner. The Trident Preservation Society was formed by a group of enthusiasts and they set about restoring the aircraft in 1994. After full restoration, she was repainted, again into the then current Landor scheme. ZK was then capable of having her electrics driven by ground power supply. This enabled the interior and exterior lighting to function (including beacons) and also the cockpit displays. Several happy years of use for this purpose and still for ground handling passed and the aircraft was repainted by British Airways into the original BEA High Speed Jack livery in 2001. Sadly after the terrible events of 9/11, various occurrences took place that meant that ZK could no longer be used. It became harder for the volunteers who worked on her to gain access to the airport due to heightened security, meaning that ZK could no longer safely be used for towing as she needed some work done on her undercarriage. She sat at LHR for two more years and it was looking increasingly likely that she would be scrapped as BA were having to pay to park an aircraft that was no longer useful to them. During 2003, aware that the outlook for the aircraft was not favourable, Neil Lomax who was one of the original restorers of ZK, publicised its plight on an internet forum. Two others joined him in efforts to set up a fund raising initiative in order to raise the required money to move the aircraft to Manchester Airport Viewing Park who has previously expressed interest in displaying it. 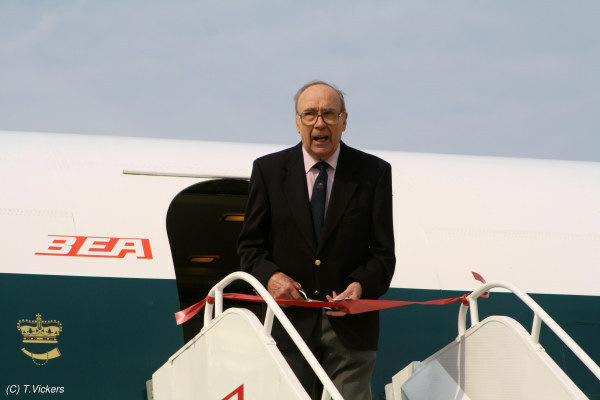 Thanks to the generous donations of forum members, the general public and corporate sponsors, who found out about the appeal through this website, several internet forums, aviation magazines and newspapers and by word of mouth, the wheels were set in motion for the move of the aircraft north. It would prove to be a long and difficult process, getting all parties to agree, finding suitable contractors and hauliers, getting the necessary paperwork in place and satisfying all the interested parties (police forces and highways/transport agencies) along the route. Work began on the dismantling of the aircraft in October 2004 and took a little over a month to complete. There followed a long period of further negotiation over the method and route by which the parts would be transported, together with necessary planning and preparation for its arrival at the Manchester end. During the next few months, smaller parts such as the engines and various panels that had been detached, were transported to Manchester and worked on by Neil Lomax to bring them back to good cosmetic condition for their eventual re-attachment and display. 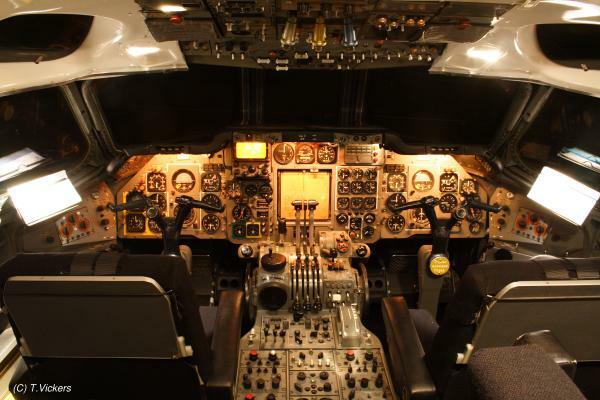 In late 2005 and early 2006, work was ongoing to restore the cabin and cockpit of the airliner which has entailed it being almost completely stripped out. Installation of dehumidifiers and removal of waterlogged insulation cladding improved the atmosphere of the aircraft and touches such as the removal of overhead bin doors, changing of seat covers and installation of new carpet completed the 1970s BEA-era look. The cockpit, often the area of greatest interest was also restored with great attention to detail. With reassembly completed in early 2007, the finishing touches were put to the aircraft prior to its grand opening on 7th April, 2007. The event was well attended by those had helped in the project and a large number of former Trident crew and maintenance engineers. Since then, the aircraft has been on display and open to the public at the Viewing Park.